The Bible contains the famous story of the three gifts of the Magi – gold, frankincense and myrrh (a kind of herbal medicinal extract). These three gifts were bestowed upon the baby Jesus – gold being the symbol of kingship on Earth. Precious metals like gold and silver have always been an integral part of the festive spirit. So, what does Christmas 2017 look like for those who wish to invest in these precious commodities? to invest in this precious metal than Christmas. Whether you’re in the market to buy a gift for a loved one, or simply an investment for the future, you cannot miss the 2017 Silver Brittania. The coin boasts an exquisite design and weighs 31.1g. Another great purchase for the coming Christmas is the 2oz Silver Queen’s Beast Dragon Coin 2017. Featuring the red dragon of Wales, a set of 3 comes for just £126.15. There are many great silver coin options for Christmas and many silver coin purchases are VAT and tax free. An even better investment for Christmas if you want to splurge a bit more are gold coins. With gold trading at $1293 per ounce, it’s an excellent investment opportunity, particularly if you want to hedge against the uncertainty of the current economy. The 2018 Gold Sovereign is an excellent purchase as a gift for someone special. The original sovereign was crafted during the reign of King Henry VII in 1489. This makes it one of the most important coins in British history. The 2018 version features a design by Benedetto Pistrucci on the reverse, which displays the George and Dragon. The obverse features the Queen’s portrait by Jody Clark, as Queen Elizabeth II is now officially Britain’s longest ever reigning monarch. However, the sovereign is by no means the only gold coin available for purchase this Christmas. Take a look at our director’s pick, which is a veritable treasure trove of some of the best gold coins around. 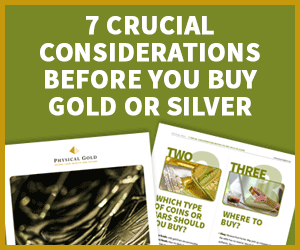 If you’re not a numismatist and coins are just not your thing, there are many other gold and silver options that you can look at, to bring in that festive cheer. The 100g gold bar, made by Swiss refiners Metalor could be just what you’re looking for. Gold investments are VAT free in the UK and that’s yet another reason to put your money in gold this Christmas. Apart from the 100g Metalor, there are some excellent VAT free gold bars to consider when making that all important Christmas investment this year. All gold bars come with guaranteed purity and certification. This ensures that your investment is well protected over the years to come. We recommend that you get in touch before you make that all-important Christmas purchase this year. Our experts are well placed to guide you in making the right investment decision this Christmas. We are keen to bring festive joy to your home in 2017, as well as help you protect your investment for long, thereafter. Call us on 020 7060 9992 and one of our advisors would be happy to help you. Have a Merry Christmas and a wonderful New Year.